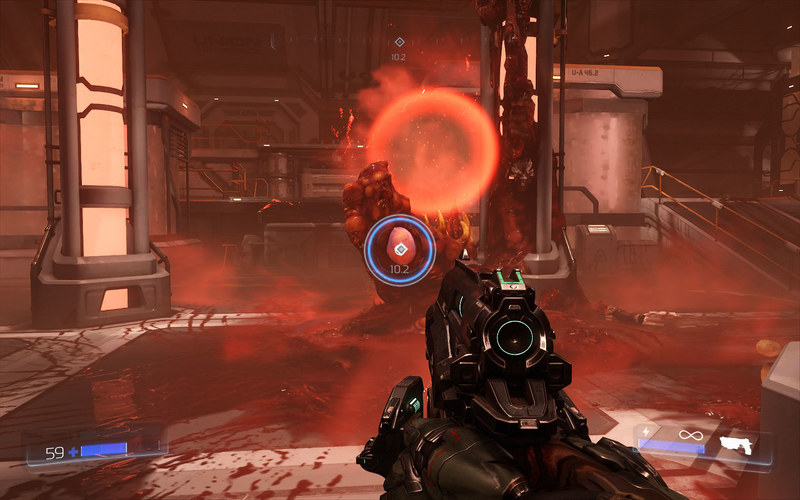 Unlike most Windows games released these days, DOOM doesn’t use Direct3D but offers an OpenGL and Vulkan backend. Vulkan being the new hot thing and Baldur Karlsson having recently added support for it in RenderDoc, it was hard resisting picking into DOOM internals. The following observations are based on the game running with Vulkan on a GTX 980 with all the settings on Ultra, some are guesses others are taken from the Siggraph presentation by Tiago Sousa and Jean Geffroy. You can either read intently about GPU occlusion queries, “frustum-shaped” voxels, and Gaussian blur, or simply marvel at each of the visual layers needed to accurately and gruesomely render each Gore Nest.